Sooo, I'm having one of those weeks where I sit down at my desk at 8am only to look up what feels like moments later and the sun is setting and it's 5pm - so today's random ramblings is a little bit different. As my brain has turned to mush, I thought it would be fun to play a little game instead. 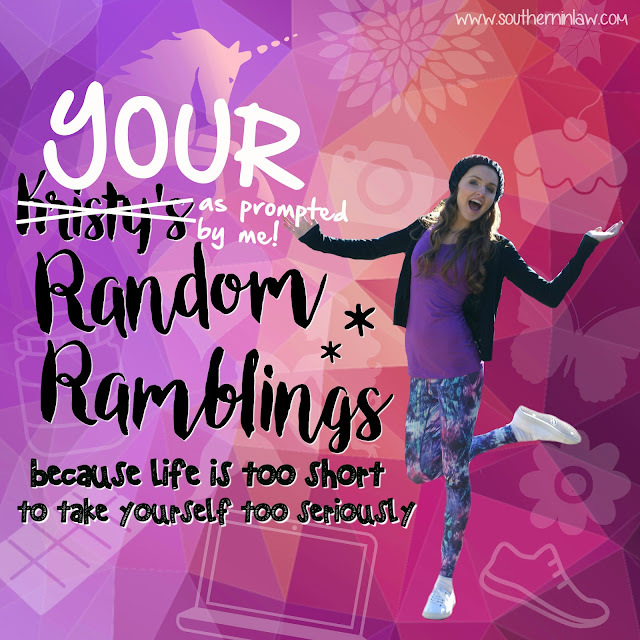 I want to hear your random ramblings, as prompted by me! We're doing this survey style so copy, paste and ramble away in the comments (or copy and share it on your own post!). Keep it! I'm a good secret keeper but an even better secret guesser. No secret is safe if you don't want me to know it! If an animal was sent to deliver bad news to you, which would you prefer? What is your ideal scoop of neopolitan icecream? If you had to spend the day with your future self (+ 10 years), where would you go? My first thought was a library... I guess so I could grill myself on what not to do, haha! If all your furniture sprang to life (think Beauty in the Beast) what would scare you the most? I feel like my bed would be the scariest thing because, you know, when you're asleep you don't know what the heck it's going to do?! Take a question or take them all and share whatever comes to mind in the comments!